Please enjoy this adorable color by number freebie. 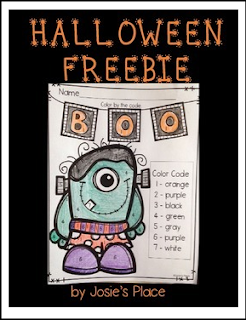 Feel free to stop by my store for more of these types of freebies and check out some Halloween activities such as Octoberfest for Kids! Have a happy Halloween! Show a little FEEDBACK LOVE- it inspires me to create more of these FREEBIES!